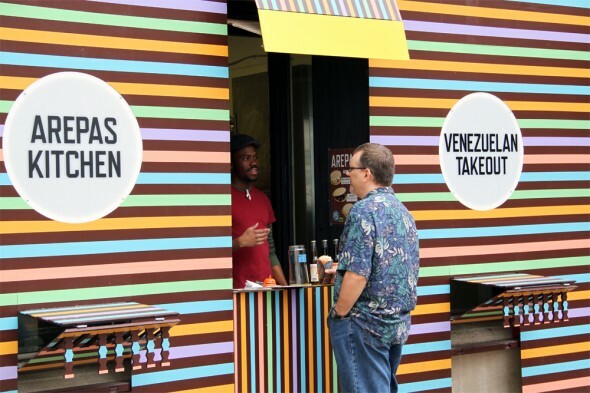 Conflict Kitchen, un restaurante de comida para llevar de Pittsburgh que sirve platos típicos de países que están en conflicto con Estados Unidos. Cada seis meses cambia el menú, la fachada y el país al que rinde su particular homenaje. Conflict Kitchen is a take-out restaurant that only serves cuisine from countries with which the United States is in conflict. 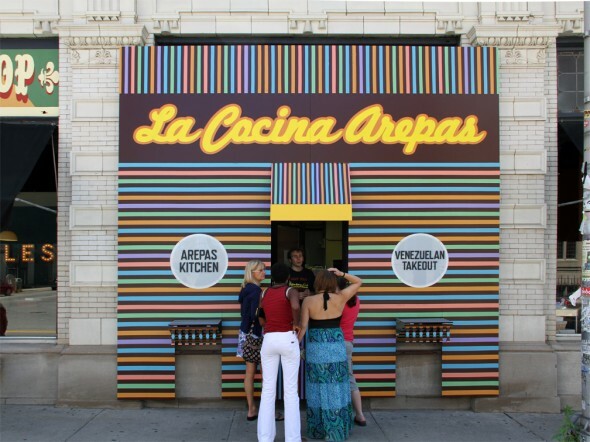 The food is served out of a take-out style storefront that rotates identities every six months to highlight another country. Each iteration of the project is augmented by events, performances, and discussions that seek to expand the engagement the public has with the culture, politics, and issues at stake within the focus country. 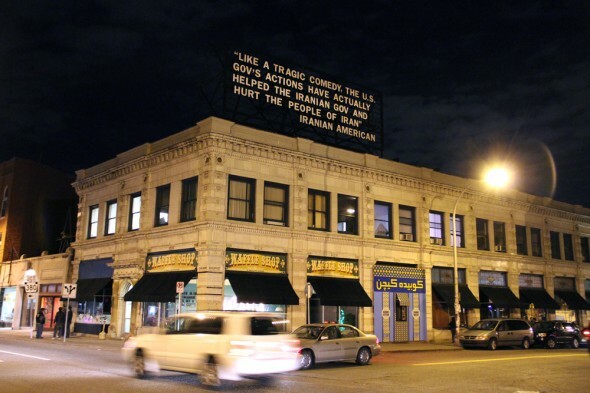 These events have included live international Skype dinner parties between citizens of Pittsburgh and young professionals in Tehran, Iran; documentary filmmakers in Kabul, Afghanistan; and community radio activists in Caracas, Venezuela. 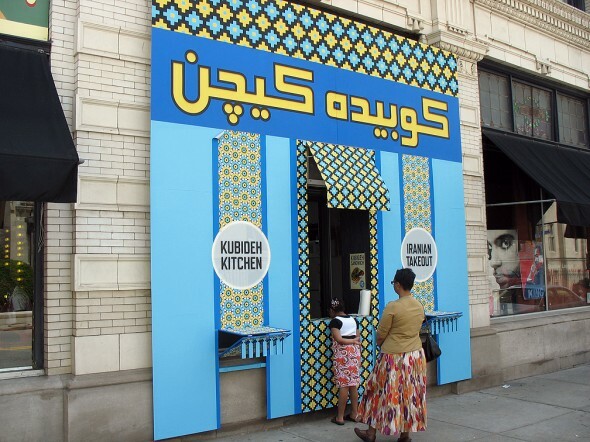 Our current Iranian version introduces our customers to the food, culture, and thoughts of people living in Iran and those that have immigrated to the U.S. Developed in collaboration with members of the Iranian community, our food comes packaged in take out boxes sealed with stickers and custom-designed wrappers that include interviews with Iranians both in Iran and the United States on subjects ranging from the culture to politics. These interview-based wrappers are produced for each iteration of the restaurant. As is to be expected, the thoughts and opinions that come through the interviews are often contradictory and complicated by personal perspective and history. These natural contradictions reflect a nuanced range of thought within each country and serves to instigate questioning, conversation, and debate with our customers. 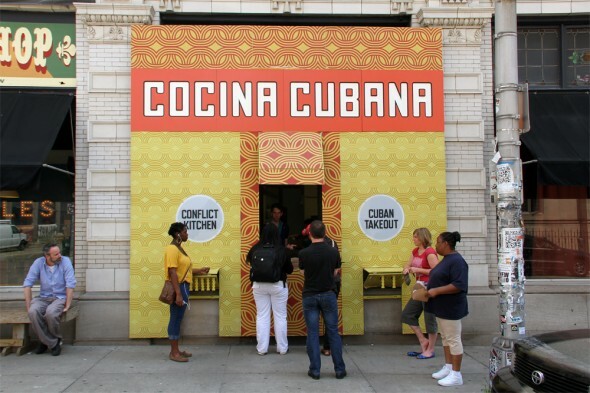 Operating seven days a week in the middle of the city, Conflict Kitchen reformats the preexisting social relations of food and economic exchange to engage the general public in discussions about countries, cultures, and people that they might know little about outside of the polarizing rhetoric of U.S. politics and the narrow lens of media headlines. 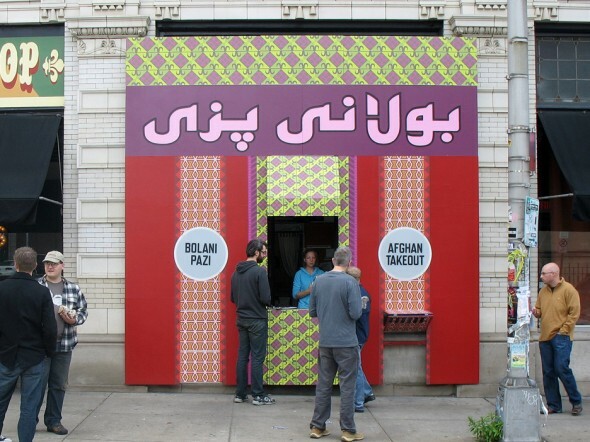 In addition, the restaurant creates a constantly changing site for ethnic diversity in the post-industrial city of Pittsburgh, as it has presented the only Iranian, Afghan, Venezuelan, Cuban restaurants the city has ever seen. Upcoming iterations will include North Korea.